2019 Fall season for boys and girls birth years of 2010-2012 and OPEN FOR 1st-4rd GRADERS - Players in our Junior Kickers program will practice once a week during the upcoming outdoor season for 8 weeks. They will participate in small-sided games/festivals a minimum of 4-5 times in the season on Sundays either in-house or against other local clubs. 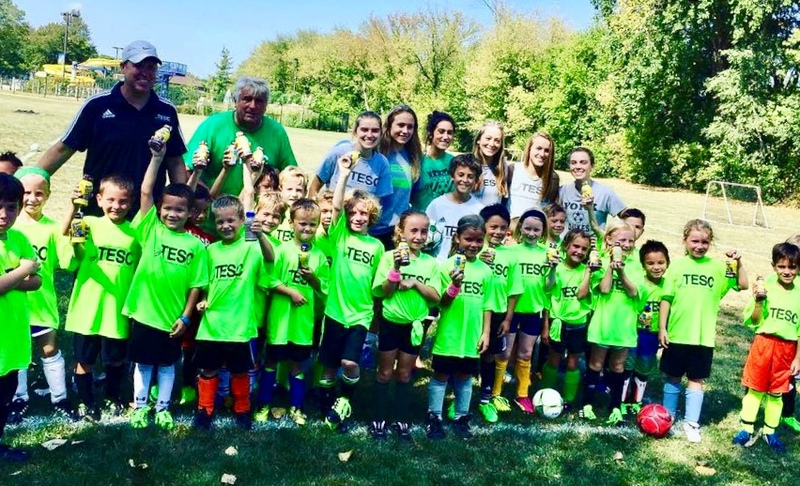 Our TESC Coaches have US Youth National Coaching Licenses and will teach the fundamentals in dribbling, passing, receiving, and shooting along with movement patterns which is great for a child's development at these young ages. These are great sessions for those players/families that are not able to commit to our year-round travel program but still receive the same coaching! PRACTICES: Parents will be able to choose a Monday or Wednesday practice during the registration process. Practices will be from 5:30-6:45 PM at and Plunket Park (Fall Season)starting week of August 26th and Berens Park (Spring Season) the week of April 2, 2019. GAMES: In-house or against other local clubs that include SIX 3v3 games/festivals on Sundays. These typically last for 1-1.5 hours for each festival. COST: $165 which includes the practices, shirt, socks and 3v3 Games/Festivals for each season. 8-10 Practice Sessions and Festival Games! !